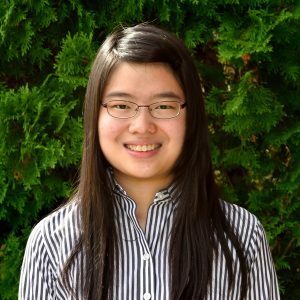 Originally from Kentucky, Alice Li is a sophomore at Vanderbilt University. She is pursuing a major in neuroscience and a minor in music performance. In 2015, she was honored as a United States Presidential Scholar and as a Cornelius Vanderbilt Scholarship recipient. Outside of class, she enjoys cooking, playing piano, writing articles for the student newspaper, conducting research in a psychology lab, and participating in cross-cultural organizations. Her diverse interests stem from a desire to both create and exchange ideas with others, and she is passionate about exploring the intersection of academic disciplines and personal stories. Confined within the boundaries of the model minority myth, Asian Americans are commonly perceived as a mass of indistinguishable overachievers who are all “smart” and “good at math.” However, these seemingly positive stereotypes can have a detrimental impact on not only Asian Americans, but also race relations in general. In this talk, Alice Li draws from research studies and her personal experiences to challenge the two-dimensional identity outlined by the model minority myth.